Clonal composition of human multipotent mesenchymal stromal cells (MMSCs) labeled with lentiviral vectors carrying genetic barcodes was studied. MMSCs were transduced with a cloned library of self-inactivating lentiviral vectors carrying 667 unique barcodes. At each cell culture passage, 120 cells were plated one cell per well in 96-well plates. The efficiency of cloning and labeling of the clonogenic cells was determined. DNA was extracted from the cell-derived colonies, and the barcodes were identified by Sanger sequencing. Also, DNA was extracted from the total MMSC population at each passage to analyze the diversity and representation of barcodes by deep sequencing using the Illumina platform. It was shown that the portion of MMSCs labeled with the lentiviral vectors remained stable in the passaged cells. Because of the high multiplicity of infection, the labeling procedure could decrease the proliferative potential of MMSCs. Identification of barcodes in individual cell clones confirmed the polyclonal character of the MMSC population. Clonal composition of MMSCs changed significantly with the passages due to the depletion of proliferative potential of most cells. Large clones were found at the first passage; at later passages, many small clones with a limited proliferative potential were detected in the population. The results of deep sequencing confirmed changes in the clonal composition of MMSCs. The polyclonal MMSC population contained only a small number of cells with a high proliferative potential, some of which could be stem cells. MMSCs with a high proliferative potential were detected more often in the earliest passages. In this regard, we would rec-ommend to use MMSCs of early passages for regenerative medicine applications based on cell proliferation. 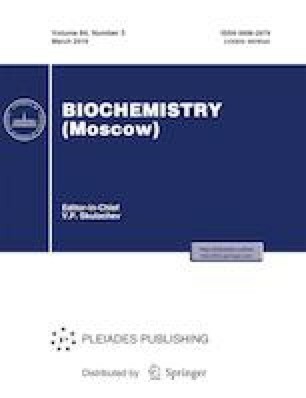 Published in Russian in Biokhimiya, 2019, Vol. 84, No. 3, pp. 365–379. Supplementary material is available for this article at https://doi.org/10.1134/S0006297919030076 and is accessible for authorized users.